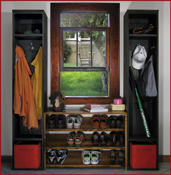 Our solid pine entryway furniture pieces are an excellent choice for decluttering and adding stylish storage solutions to your entryway or mudroom. 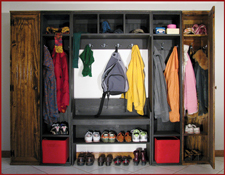 Whether you have a large or small entryway, we have the entryway table, coat rack, or complete entryway storage system to fit your needs. 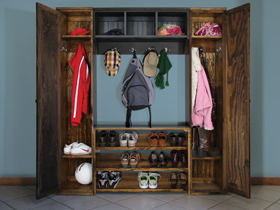 Many of our entryway furniture pieces are modular in design, so they fit together with other pieces for tons of entryway storage, or still look great alone if you're looking to add style and function to a small space. 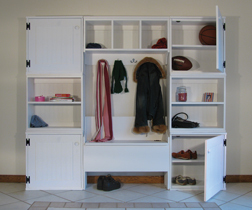 Check out some of our configurations, or come up with your own custom storage solution! We can also build custom furniture to fit your exact space.